Everyone knows that plastic surgery can reduce the telltale signs of aging. However radical cosmetic surgery can be both painful and time consuming. Other recent alternatives, such as Botox and Collagen injections, reduce wrinkles but are costly and temporary. These days anti-aging dentistry has revolutionized the pursuit of beauty, youth, and self-esteem, as a non-invasive, practical alternative to what anti-aging physicians and plastic surgeons have offered for years. Our office is one of the pioneers of the anti-aging dentistry. We offer our patients a new option to help achieve a more youthful appearance by diminishing the appearance of wrinkles, plumping up lips, and perfecting smiles thus making patients look years younger safely and efficiently without surgery. Imagine lifting years off your face in just a week. When it comes to reducing the signs of aging, esthetic dentistry should be one of you top consideration. As you get older, the lower portion of your face inevitably begins to shrink. With cosmetic dentistry, we are able to drastically reduce wrinkles and return an individual’s face to a more youthful state through manipulation of tooth width and size. And, there are other health benefits. 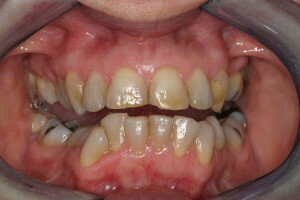 As teeth wear down over the years, the jaw can be prevented from closing correctly, causing pain. 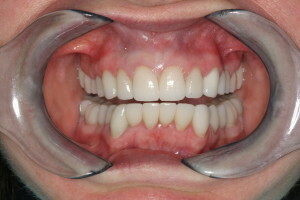 Cosmetic dentistry can improve functionality and eliminate discomfort. Our patients tell us that the best part is that there’s immediate gratification and no extended recovery period. We can change many patients’ smile and image in just one visit, and their friends often can’t identify what the change is. They just know that our clients look beautiful and rejuvenated. Our patients often tell us that their lives have changed because of their new smiles. Their increased confidence has been a catalyst to many other life altering changes such as career advancement, a greater interest in fitness and health, and a stronger desire to continue improving their lives. Most importantly their new smiles make them aware of the fact that it’s not too late to bring out their true beauty.